All bullion meets Good Delivery rules. BMG Funds do not invest in shares of mining companies, certificates, pooled accounts, closed-end funds, ETFs or bullion proxies of any kind. Minimum initial purchase is just CDN$1,000, with a CDN$100 minimum for additional purchases. Preauthorized minimums are just CDN$25 per transaction. BMG Funds offer the ultimate in convenience for investors, who can purchase by phone or online through all major banks, brokers and mutual fund dealers. Bullion Management Services Inc., a BMG Company, is BMG Funds’ Manager/Trustee, and RBC Investor Services Trust is BMG Funds’ Administrator. BMG Funds’ gold, silver and platinum bullion is stored on an allocated and insured basis with BMG’s custodian, The Bank of Nova Scotia, in its Toronto vault. The bars in storage are verified annually through an independent audit by BDO Canada LLP. BMG Funds are open-end mutual fund trusts, which allow new investors to buy in at any time. This allows BMG Funds to grow in unit size and asset value, unlike closed-end funds, which maintain a fixed number of shares. 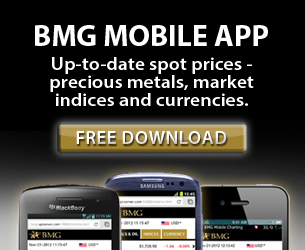 BMG Funds purchase bullion at the prevailing market price. Units of BMG Funds are purchased and redeemed at NAV. As none of the bullion in BMG Funds is borrowed, leased or used as collateral, investors will never be forced to pay a discount to BMG Funds' NAV upon redemption. As public mutual funds approved in all Canadian provinces, BMG Funds must comply with all securities regulations, including filing and reporting requirements. BMG Funds are highly liquid—investors can convert their units into cash at any time. Liquidity of BMG Funds' units is comparable to the purchase and sale of bullion itself. The only variables affecting the price of units in BMG Funds is the daily spot price of gold, silver and platinum, the exchange rate and the expenses of BMG Funds themselves. 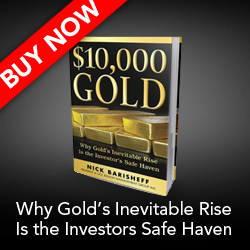 BMG Funds have a fixed investment mandate of purchasing gold bullion in BMG Gold BullionFund, or equal dollar amounts of gold, silver and platinum bullion in BMG BullionFund. BMG Funds do not invest in certificates or futures contracts, ETFs or mining company shares, or any derivatives or bullion proxies. As a result of this fixed investment policy, BMG Funds' performance is not dependent on the trading skills of a manager. Purchases are not market-timed and holdings are not rebalanced and no hedging or leverage is used. No sales tax or withholding tax is applicable on bullion in Canada. BMG Funds are approved for all Canadian registered plans, including RRSPs, RRIFs, RESPs and TFSAs. BMG Funds intend to allocate capital gains and/or other net income only to redeeming unitholders. Unitholders of the Funds who do not redeem their units will not be affected by redemptions by other unitholders that cause the Fund to realize income for tax purposes. There is no substitute for the peace of mind an investor gains by owning an asset that is real, incapable of being destroyed or depreciated, and absolutely secure. The assets in BMG Funds are fully transparent, insured and verified during the annual audit. To protect your portfolio and preserve your wealth, contact your financial advisor today. Please contact your BMG representative or call our Dealer Relations line at 1.888.474.1001 or 905.415.2975 (direct) for further information.